WordPress is the most common blogging platform on the Internet. Swartwerk Media Design will design a custom WordPress blog theme for you and hand-code it to the specifications of the blog's design. Visitors will be able to perform text searches on your blog, as well as comment on your blog posts (if you want them to). 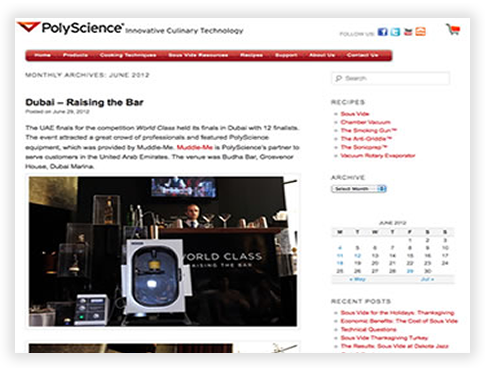 PolyScience in Skokie hired Swartwerk Media Design to design, code, and customize a WordPress blog to match the company's current website design. 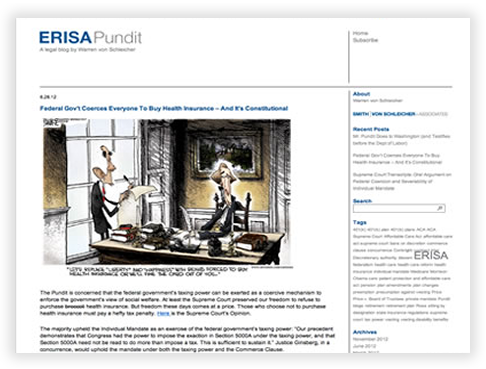 Swartwerk Media Design created this custom WordPress blog theme, which was designed by a Chicago communications firm, and built it to the design's specifications. 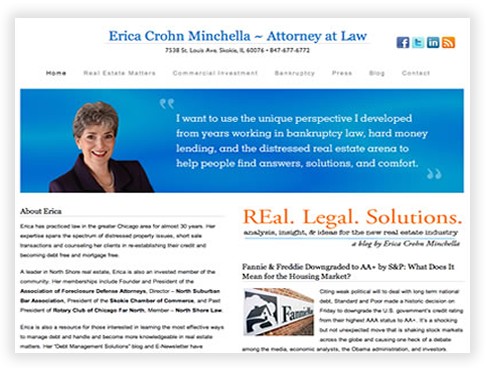 Erica Crohn Mincella - Attorney at Law in Skokie hired Swartwerk Media Design to design, code, and produce a customized WordPress blog for use as the firm's primary website.